Challenge your thinking. Blaze a new trail. Dare to dream. Become a part of the solution. Join the Kopis Team. Openings here don’t come around very often. Not because we think we’re the greatest thing since sliced bread, but because those who join our team tend to stick around for a while. After all, where are you going to get this kind of office environment, quality of life, growth potential, and culture of shared knowledge? If you’re just looking for your next job, we’re probably not a fit. But, if you’re ready to challenge traditional development firm expectations and do meaningful work for the next few years in a unique and dynamic city, we’d love to hear from you. Kopis is seeking a Software and Database Engineer with experience in SQL Server Development and Administration skills, and Business Intelligence development skills with Microsoft Power BI. Kopis is seeking a Junior Account Manager who has a drive for success, a positive attitude, proven organizational skills and a desire to become part of a dynamic sales team with increasing responsibility in a growing role. Kopis is seeking a Mid-Level Applications Developer to join our team. Strong candidates with 3-5 years of software development experience and a strong track record of building solutions are encouraged to apply. If you’re searching for a developer role where you can hone your skills by working with the best in the industry, then this is the opportunity for you. Kopis is seeking a full-time, Senior Application Developer in the Greenville, South Carolina area with a proven track of building solutions. Do you see a problem, or a puzzle? Do you approach teammates as co-workers, or collaborators? Are you threatened by people who know more than you, or challenged? Do you see obstacles as barriers to project completion, or as opportunities to rethink your perspective and deliver a better solution? Do you realize the important distinction between Miller Lite and local craft brews? 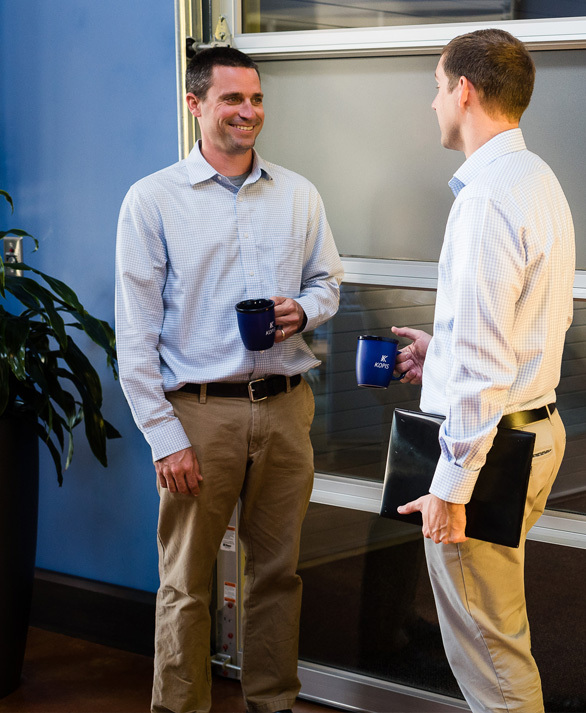 At Kopis, we believe that talented people thrive in the right environment. That’s why we strive to make sure that our company and culture challenge our team members to do their best work and be their best selves. We call our development process, how we determine the goals and scope of each project, Agile with Guardrails. How we work with clients actually reflects our management style as well—we give guidelines and parameters such as budgets, due dates, and end goals, and then empower our talented team of senior-level developers and project managers to exceed expectations. We know we aren’t perfect, but after a couple decades of success, as well as some really important failures and learning opportunities along the way, we seem to have captured a unique formula that works for us: Top-tier compensation and benefits, a collaborative, respectful, challenging culture, exciting projects with crazy-successful big-name clients (and some companies you’ve never heard of who are doing amazing things), all centered in a city that’s breaking records for quality of life, business friendliness, and so much more. We’re thrilled to be a part of one of the most vibrant business and technology communities in the United States. In the past ten years, the southeast has become a major economic growth center, with Greenville, South Carolina outperforming the nation as a whole. Our home base, Greenville, SC, has transformed from a quiet town halfway between Atlanta and Charlotte to a bustling, cosmopolitan hub and a prime relocation destination. In addition to welcoming major economic powerhouses like BMW Manufacturing, Fluor Daniel, and Michelin North America, the Greenville community embraces small businesses and entrepreneurs by funding initiatives and offering resources geared toward growing the economy from the ground up. Many of our favorite clients are startups based right here in our hometown. Greenville, SC is also a fantastic place to live, boasting abundant natural beauty, an active arts and music scene, and plenty of fine dining and nightlife. Our downtown was recently voted as the #4 most livable downtown in the United States by livability.com, thanks in part to its tree-lined, walkable Main Street, stunning Reedy River Falls Park, and increasing housing values. If the thought of living in one of the best places in the world and working for a forward-thinking tech company that stretches your capabilities appeals to you, get in touch. We love hearing from people who are passionate about problem-solving.